The Maine Drone Society members primary community platform is meetup.com. Create an account to communicate with other members, look for sessions and discuss your passion. We have a true passion for our craft. Unmanned autonomous vehicles are extending our reach. Drones cross industries much like any creative or industrial tool. In fact, most commercial use of autonomous vehicles in our area today are used by everyday professionals simply extending their core competency into the sky. The Maine Drone Society hopes to promote a hyper-local social and professional connections of these communities focusing on education, safety, privacy and business. We strive not to impose a centralized view on the priorities of the community, instead let them reflect the best interests of our members. The Maine Drone Society does work with a small team of dedicated member who keep our community aloft. Community Directors have deep interest in motivating those around them to have meaningful contribution to society. They advise, plan, document and communicate much of what is happening with among members. In addition, community directors are the members liaison to the business side of our industry. Experience connecting people in a meaningful way who engaged in an interesting activity. Work regularly with members of the community to determine best priorities for meetups and research projects. Business development leaders work to promote economic the growth of the drone industry in Maine and surrounding states. They ensure community events are well funded and create solid business relationships. You have started or worked in a startup culture. Repair Technicians are in responsible for the care of the piles of flight controllers, ecs and brushless motors our society members require during drone operation. 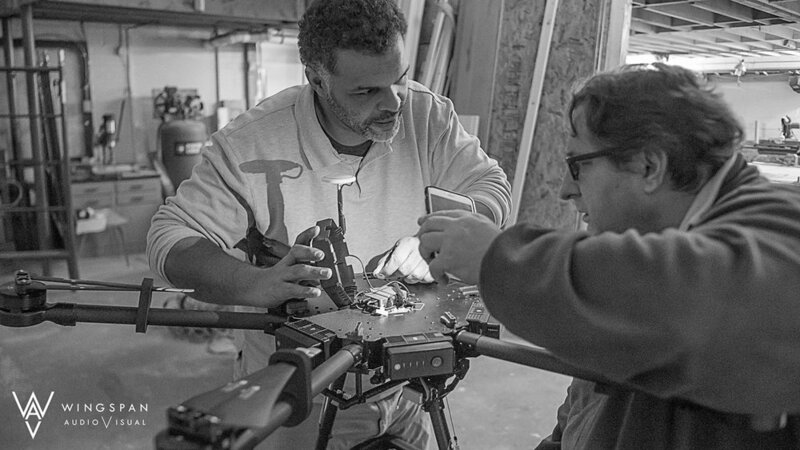 You own the repair, assembly, bench testing, and maintenance of club UAVs. You will be responsible for inspecting, checking, building, testing and recommending improvements for multi-rotor and fixed wing products. Experience with all areas of the hobby such as planes/gliders/FPV/Multi-rotor is highly desirable. Maine Drone Society Safety Officers have the final say regarding all events, venues, policies and procedures we promote members consider. We hold them to high standards and they are the most important members of the team. You are safety guy. You can be relied upon to call a 'knock it off' at any time a situation or instance imposes risk. You enjoy sharing safety tips with everyone and many people look up to you for help. You operate under a Section 333 exemption or Part 107 Certificate of Waiver. You will be paid via Paypal or direct deposit within two days after curating any safety information on our site. Compensation will vary depending on the nature of the project. Maine Drone Society is looking for reliable and skilled UAV pilots to capture aerial imagery for our events. If you own a drone and are interested in earning extra money as an independent contractor, this opportunity is perfect for you. The FAA requires that all pilots flying for non-recreational purposes possess a Remote Pilot Certification, or operate under a Section 333 exemption or Part 107 Certificate of Waiver. You will be paid via Paypal or direct deposit within two days after submitting your imagery to our site. Compensation will vary depending on the nature of the project.